Boil all the ingredients together in water, until the lentils are completely mashed and the beans is cooked. Cook till the water dries. Grind the mix into a thick paste in your food processor. 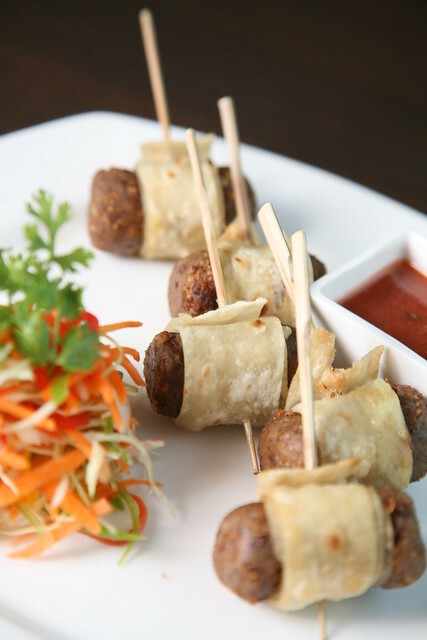 Shape into Roll (croquette) Heat vegetable oil in a heavy-bottomed skillet and shallow fry the kababs, till golden. Mix all the ingredients together and make a soft dough. Keep aside for 15 minute. Knead again, divide into 10 to 15 portions and roll out each portion very thinly. Stretch a little on all sides and cook on an upside down tava for 1/2 minute. Place apples and water in a large saucepan. Bring to a boil, reduce heat, and until apples are tender, stirring occasionally. Add more water as necessary to keep the apples simmering. Wrap mustard seed in cheesecloth, and place with apples. Mix tomatoes, onions, garlic, sultanas, sugar, curry powder, cayenne pepper, salt and vinegar into saucepan. Stir until sugar has dissolved. Bring the mixture to a boil. Reduce heat, and simmer half hours, stirring occasionally, until a thick chutney remains. Remove and discard wrapped mustard seed. Combine all Ingredient before serve. To assemble the rolls. Slice Roomali Roti As Ribbon rolled On shammi Kabab, Place in Plate with Shredded vegetable salad and Apple Tomato Chutney.